There are multiple artists with this name: - progressive rock band from Poland - rock/worship band from New Zealand, - Two rock bands from the US; one is based in Sacramento and the other one is based in Los Angeles! - jazz group from Zagreb, Croatia _______________________________________________________________________________ 1) Satellite is a Polish band formed in 2000 ,led by drummer, composer, and lyricist Wojtek Szadkowski and featuring most if not all of the members of another well-known outfit from that country, Collage, Wojtek included. Satellite is a Polish band formed in 2000 ,led by drummer, composer, and lyricist Wojtek Szadkowski and featuring most if not all of the members of another well-known outfit from that country, Collage, Wojtek included. So at least in some ways, Satellite can be considered Collage's reincarnation, especially since Wojtek was a primary mastermind behind that band too. Satellite's two albums, "A Street Between Sunrise And Sunset" (2003) & "Evening Games" (2005), were unanimously acclaimed sensational and got enthusiastic reception worldwide (front cover story in Colossus Magazine, reviews and interviews in Rock Hard, Eclipsed, iO Pages, Dutch Progressive Rock Page, and many, many more!). Their third release, album "Into The Night", proved that the band well deserves these words of praise. And even more!!! Debut album was released on March 10, 2003 by Metal Mind Productions. It's follow up, "Evening Games", released in February 2005 reached no. 8 at the top100 best selling records in Poland. At the beginning of June 2005 regular rehearsals started to make Satellite a real band not just Wojtek's solo studio project. As the results on 22nd September 2005 Satellite recorded live DVD - "Evening Dreams" (2006). 2007 marks the return of Satellite. In March the band had a privilege to play at the famous Baja Prog Festival in Mexico and in November released third studio album entitled "Into The Night". 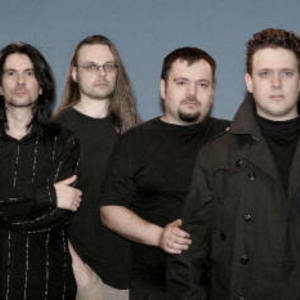 In the meantime Satellite welcomed Jarek Michalski (bass) as a new band member. In 2009 Satellite returns with a brand new offering ? ?Nostalgia?. As the band claims, it's their fourth and most mature offering. Most of the album was recorded in Wojtek Szadkowski's home studio. He is also responsible for the music and lyrics for "Nostalgia". The music offered on the new album is a combination of the sound of the 70's with the modern 21st century sound. The lyrics relate to each other in a loose manner - they're about coming to terms with the past, about the need for a change, starting anew, distancing oneself to one's own past. At the same time, ironically, the music on "Nostalgia" manifests a longing for the mood of the 70's and 80's. "Nostalgia? - was released by Metal Mind Productions on 23rd February 2009 in Europe / 10th March 2009 in USA. The album is available in two formats: a standard CD and a digipak CD with two bonus tracks. Hailing from Christchurch, NZ Satellite (named after the release of their 3rd album of the same name) started out with a vision to write relevant music that catered for (but was certainly not limited to) a youth audience for a local youth camp. Now after releasing 4 albums and numerous EP's Satellite's passion seems to be burning brighter still and they're always finding ways to stay relevant to those whom they're trying to speak to. Their inviting and intense live show has showcased many stages including Parachute Festival, the Westpac Trust Centre (in Christchurch), the Get Smart Conference, as well as numerous festivals and events around New Zealand (including their stomping ground Eastercamp in Christchurch) playing to large crowd numbers wherever they go. The Satellite collective has grown and changed in many ways since its initial conception, but that hasn't stopped any growth musically and spiritually... if anything it showcases the talent and passion that each musician (past and present) has to fulfill the Satellite vision. The current mixture of youth and experience has just finished their 5th album (Self-titled aka the Girl album) which was released at Eastercamp 2008!!! Satellite id a Sacramento-based rock band. Satellite is Steven McMorran, Mitch Allan, and Josh Dunahoo. When singer/songwriter Steven McMorran was invited to play at music producer Mitch Allan's Los Angeles-based "songwriter's night" in early 2009, a spark of inspiration was formed. A month later when Josh Dunahoo was added to the mix, SATELLITE was born. With influences ranging from Bruce Springsteen and Paul Simon to Radiohead and Snow Patrol, SATELLITE is ready to make their impact on the music world. While the band thus far is known primarily for their raw and heartfelt live performances, SATELLITE aimed to deliver the same emotion and energy with their debut EP, RING THE BELLS.